Here we go folks, we're back in action. I literally flipped a coin to decide the June BOTM. At least I have one on deck for next month if all else fails. This one has garnered some attention recently here on SB, so I thought it would make a good BOTM. FWIW, I have yet to see, let alone taste this one. So without further adieu, (please no cheering from the peanut gallery ) let's here what y'all think about 1792 Full Proof. Good choice Joe! 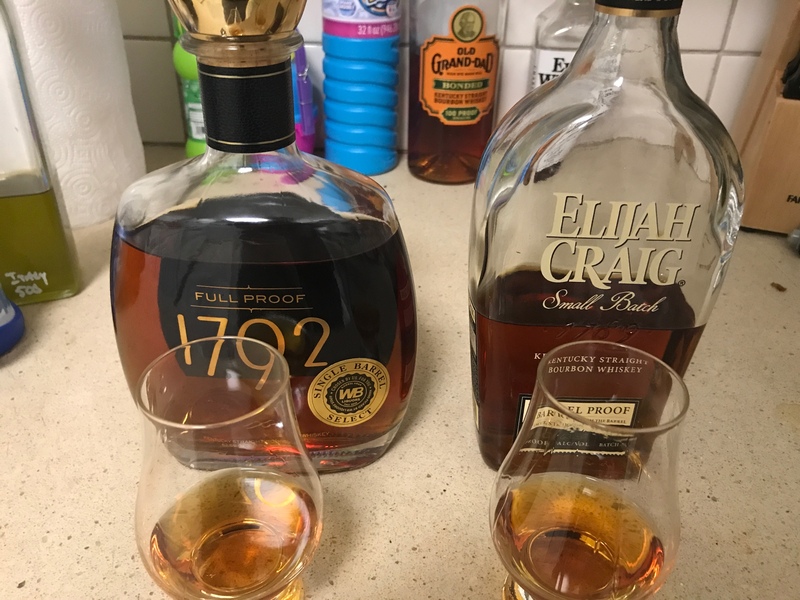 I have a regular 1792 FP in my bar cabinet that I haven't even opened yet, and I believe one of my favorite beverage stores is supposed to get their 1792 FP PS in this month, so maybe I'll have two to contrast and compare. So far I don't find it to be anything special, however for the price it is really solid and a good value. I bought one bottle at $45 and picked up a second for $38.99, I also grabbed a store pick for $45ish only to see how it compares. One of these days I'll crack it, right now would rather work on some others. I've only had a store select version of this but I find it solid. The 1792 line is really sweet to me, and this one is no exception. Not quite as sweet as, yea, the Sweet Wheat, but more sweet than the High Rye (predictably I suppose). But for 40 bucks at 125 proof fully aged, that's a decent bargain these days. Sweet my most recent bottle that I opened and now the BOTM. I'll need to go back to this. I didn't like this as much as my first try. Too much of the Barton funk. Too much of the Barton funk. Barton funk? What the heck is that? The weird taste I find in VOB that I really don't enjoy. Reminds me of bad blended Canadian Whiskey. That's just me though. Huh........I don't get that. You are the first person to mention this (to my knowledge). Not doubting that you taste that though. Generally, when we describe something as having a "funk", it's a flavor or characteristic that a lot of people report tasting. It's well known. I wonder if others get this odd note from Barton? ^ I don't know but I really dislike it. When I've mentioned this before others have also chimed in stating similar. Really too bad as I want to like like VOB but don't. For comparison I want to dislike JB distilled products but have really enjoyed KC, Booker's and OGD. JB is known for its own distinctive "funk" but I don't get that from there products. So, I moved the Small Batch I had open on my bar to the cabinet and took out and opened the Full Proof that I had hiding way in the back of the cabinet. The first pour I had neat...I don't think it's anywhere near as hot as some blog reviewers have expressed. I'm not very good at describing flavors other than oak, so I won't even try to get that detailed. I think this is very flavorful, fairly sweet and with just the right amount of oakiness. I actually like this better than the Small Batch. I added a little water to my second pour, which I think improves the nose quite a bit and brings out a bit more sweetness while still keeping that oak flavor that I like. I like this a lot and recommend buying one if you can find it at $45, but KCSiB is still probably as good a value at less than $40 for private selections in my area. Hopefully I'll be able to get a 1792 FP PS soon to compare to the standard version that I'm currently drinking. I just so happen to have a recently purchased bottle of this. I find it to be pretty solid. Having a pour right now. Rich mouthfeel, decently long finish, with a few drops of water added. Just grabbed it because it's BOTM so I need to try it again as the first pour of the evening, but so far I find it to be good. A Great Choice for BOTM! To me, this brand is perhaps the best new Bourbon brand (or 'line extension', I guess) in several years. 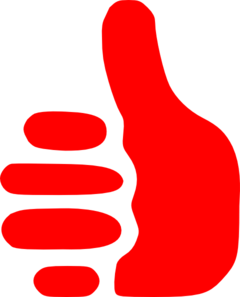 I find the regular shelf offering to be excellent, and a great value. (Of course I am well-known for being a fan of the cereal-forward profile of Barton products.) I'll add that the couple private picks I've had are among the very best Bourbons to pass my lips in the last couple years (Gazebo offerings aside).... IMOHO, of course. That flavor or characteristic for me Steve is banana on top of a malt note that doesn't quite agree with me. I've had three different barrels of the full proof. All okay but give me an ECBP any day. I certainly have to be in the mood for the Barton/1792 flavor profile opposed to it ever being a regularly consumed. I've had a pour of the FP 1792, can't remember where, but I do remember having it. 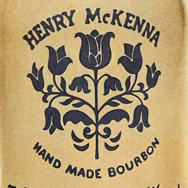 Have actually been looking for a bottle but the only one I found in Louisville they wanted $79.99 and I just wasn't convinced that I wanted to spend that much, especially with some of the store selections of KC Single Barrel that I've been able to pick up for $38 - $45. Interesting! Now that you mention it, a faint bell is ringing somewhere that I've heard someone else mention the banana note in regards to Barton. Maybe it was you. (I totally agree that I'd take ECBP over this as well). ECBP is preferable to me too, and I'd likely choose it over 1792 FP if price wasn't also a determining factor. However, ECBP is almost 50% more expensive at retail than 1792 FP is currently. I have several bottles of ECBP bunkered, so I'll likely look to pick up some more 1792 FP before I buy any more ECBP. Of course KCSiB is a good value too, and it's hard for me not to pick up a few more new KCSiB PS bottles whenever I see them. Exactly. Even though I prefer ECBP, variety is the spice of life so I'm also happy to have 1792 FP at almost half the price. I agree. 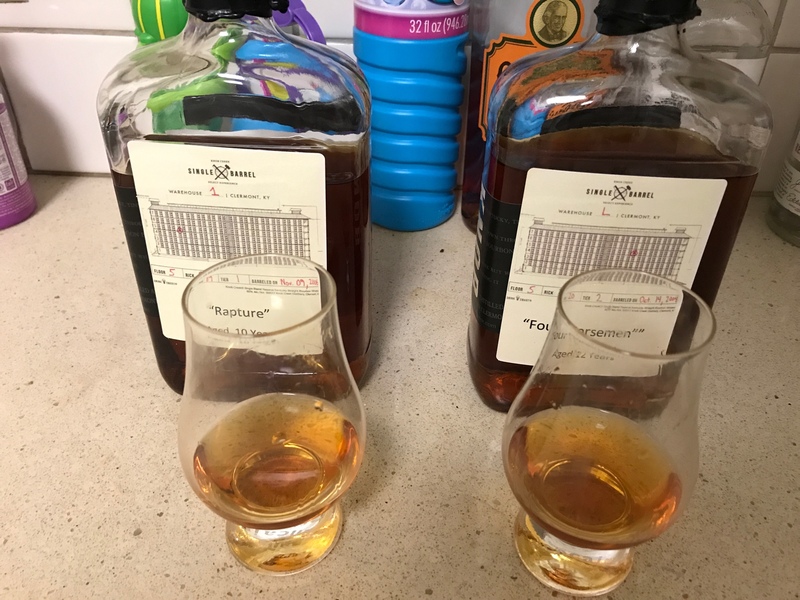 The KC Single Barrel PS are some of the best tasting pours I've had recently. 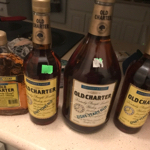 Super value for a usually 12 - 13 year old 120 proof bottle. ^Awesome gotta love the Coen brothers and anything with both of those John's. I really don't find much of an oak influence here at all. What I do get is a lot of richly flavored ripe fruit notes, moderate mouthfeel, and a warm, lengthy finish. It's a good pour at a good price point. Just not as complex as the ECBP or Stagg Jr., IMO. So much this 1792 has a sweetness to it but almost no oakiness/vanilla. The 1792 isn't bad but much less complex and is missing that great vanilla nose and great finish that ECBP has. Also still can't over the Barton Fink finish on the 1792. Several people compared to KCSB went ahead and compared to a couple of store picks I have. I might prefer the KCSB tonight, however after a few high proof half pours who knows. On a side note on the store pick KC bottles I'm preferring the younger 10yr barrel. Maybe the KC profile doesn't hold up so well after 10yrs or maybe is just the barrel variation. Either way my vote for BOTM for June is KCSB. P.S. Stagg Jr. Is my least favorite of the four in comparison. Yeah more complex than the 1792 but just way too much heat. I like this one. Very tasty and some nice sweetness. I'm hoping to try a store selection at some point. Full Proof really isn't a bad bourbon, especially for the money. Much better than the 1792 Small Batch in my opinion. Just finished a nice healthy pour from one of the bottles of the Private Select 1792FP that I bought yesterday. Added a small amount of water to tame it down just a bit...probably down to around 110-115 proof, and oh my, so good! I may have to think about getting a few more bottles.